Drainage – Make sure that water is properly draining from your roof. All drains, scuppers, gutters and downspouts will be checked. All strainer baskets will also be cleaned and inspected for proper attachment. Flashings – All flashings will be inspected and verified that they are secure and sealed so water won’t accumulate under them and potentially freeze in the cooler temperatures. HVAC and other Projections – Ensure there hasn’t been any alterations made to any penetrations. If there have been, make sure all are flashed and properly sealed. Metal Details – Inspect and make sure they are secure and installed properly. Pitch Pans – Check to insure they are all sealed properly. 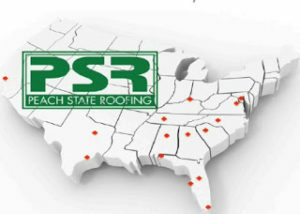 Roof Surface – Inspect the entire roof surface for any wind, hail or other damage. Building Use – Has anything changed with the building use that would cause changes to the roof such as oils or grease that may be emitted from manufacturing processes? If changes have occurred, are there any items that need to be addressed on the roof to accommodate for the building changes? Safety – Review of roof safety protocol to make sure the roof is a safe place. Are there any safety considerations to take prior to winter? Some of those items would include rail hatch systems, walk pads and snow guards. After any roof inspection, make sure you are receiving a full written report with photos and fully understand any recommended repairs. The overall goal of the inspection is to ensure your roof is in good condition and will remain that way throughout its useful life.